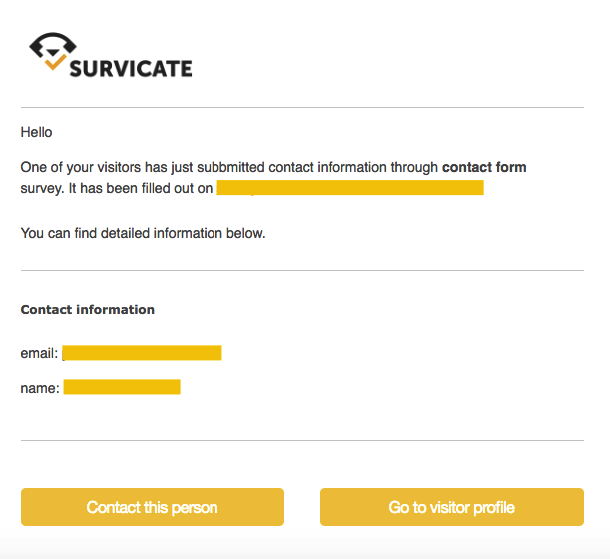 If you’re collecting leads by using Survicate contact forms, whether it is for your marketing automation (like MailChimp or SendGrid) or CRM (like SalesForce or HubSpot) you might want to get informed every time someone fills a contact form. This is when Lead alerts can be useful. After you set them up, you will get a notification with contact info of your new sales opportunity. We will send you all the data gathered, such as mail, name, company, phone number, etc. So feel free to use it right away and get the advantage of a quick response!